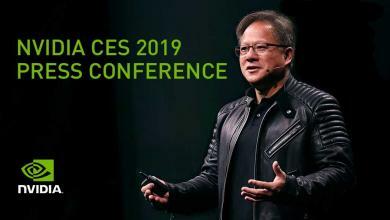 Announced at the launch of NVIDIA’s massive worldwide Game24 event, the new GM204 Maxwell based GTX980 and GTX 970 are the new flagship single-GPU models from the GPU giant. Their partners such as Zotac have also been busy with adding a spice of their own to the new set of cards by offering overclocked and custom cooled variants. 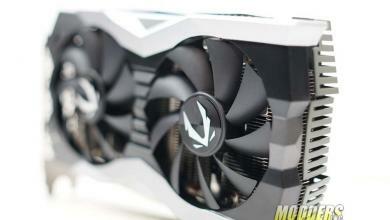 Both the GTX 980 and GTX 970 will have an AMP! Extreme and AMP! 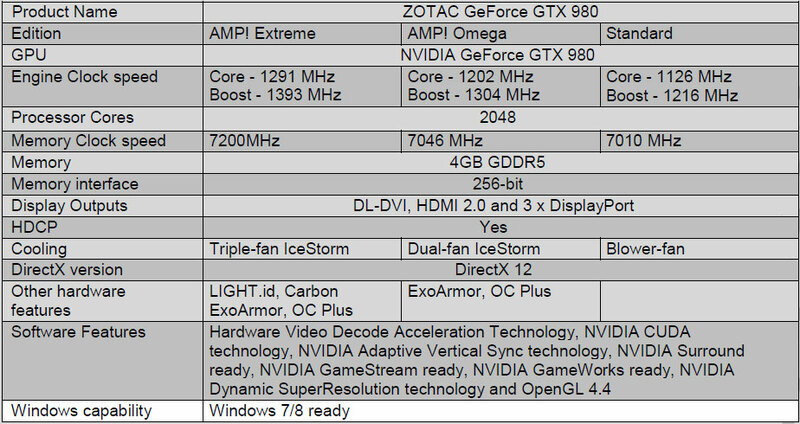 Omega editions which take NVIDIA’s new performance crown much further than stock offerings. Zotac’s AMP! Extreme video cards feature the triple-fan IceStorm cooling system with carbon ExoArmor, and enhanced OC PLUS power regulation controller for overclocking enthusiasts to play around with. The AMP! Omega editions take that design even further with having IceStorm cooling support and carbon ExoArmor as well, but adding full custom PCB with even more OC enhancements. ZOTAC Innovates Beyond Thermal Design with Next-Generation NVIDIA Maxwell Architecture. 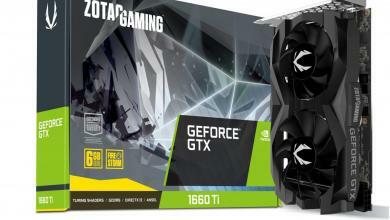 HONG KONG – Sept. 19, 2014 – ZOTAC International, a leading innovator and manufacturer of graphics cards and mini-PCs, today unleashes the powerful and very efficient ZOTAC GeForce GTX 980 and GTX 970 series next generation graphics card. The NVIDIA Maxwell architecture powered ZOTAC GeForce GTX 980 and 970 series arrives with customized versions including the elite AMP! Extreme Edition and premium AMP! Omega Edition. 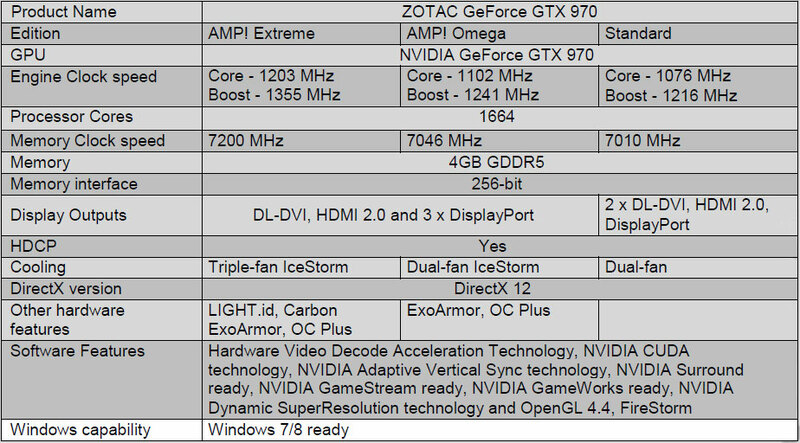 The ZOTAC GeForce GTX 980 and 970 AMP! 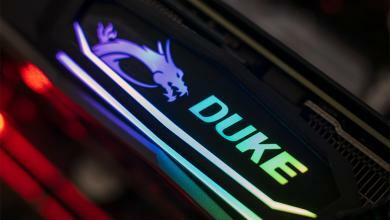 Extreme Edition targets the most demanding gamers and overclockers and holds nothing back. Utilizing new technologies that adds a triple fan IceStorm enhanced cooling system with carbon ExoArmor, enhanced OC Plus power regulation controller and for an extreme enthusiast graphics card for those that want great looks and precise tuning capabilities. 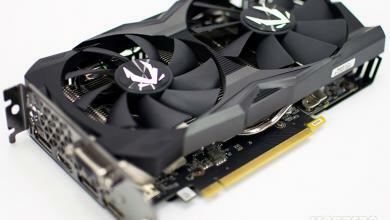 The GeForce GTX 980 and 970 AMP! Omega Edition raises the stakes with a custom PCB, dual fan IceStorm enhanced cooling system with ExoArmor, OC Plus power regulation controller and Power+ circuitry for a graphics card that blends form and function. IceStorm is the most advanced, most powerful graphics card cooling system available from ZOTAC yet. The IceStorm performance focuses on full coverage air flow maximization, wide-area coverage heat dissipation, reduction of turbulence, and vibration control. 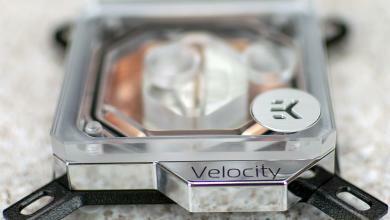 In a multifaceted strategy utilizing dual and triple 90mm fan solutions, they combine the best thermal capabilities of copper and aluminum to overpower the overwhelming capabilities of Nvidia’s latest graphics card to maximize heat dissipation to produce not only the coolest performance, but one of our quietest. 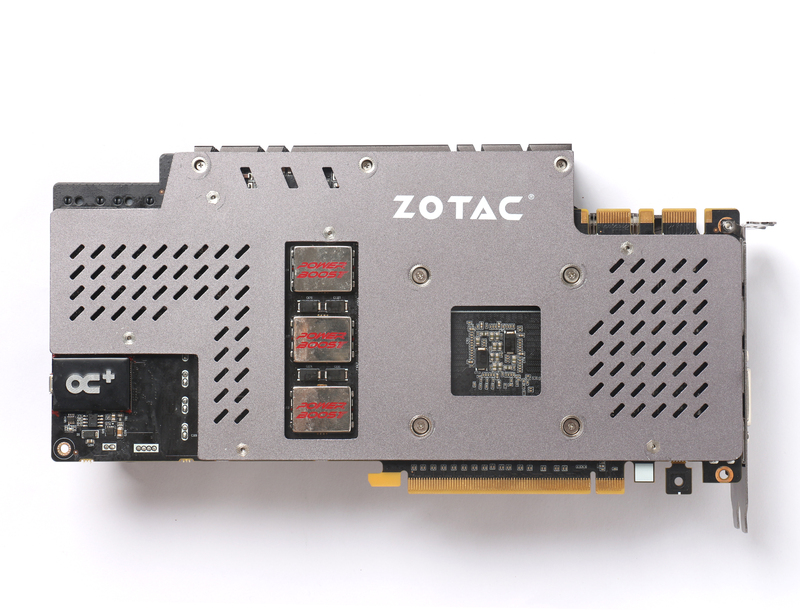 ExoArmor adds a functional aesthetic to the ZOTAC GeForce GTX 980 and GTX 970 AMP! Extreme and AMP! Omega Editions to help channel air and reduce turbulence to smooth out airflow, reduce vibrations and noise. Carbon ExoArmor, exclusive to the AMP! 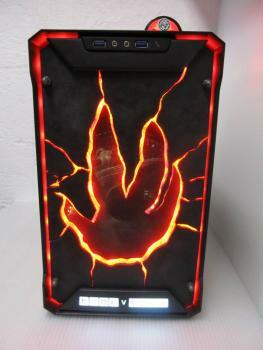 Extreme Edition, uses a water transfer printing technique to give the fan shroud and back-plate a touch of style that resembles carbon fiber. A unique dual-colored lighting system, enhances the visual appeal with a reactive response that breathe and illuminate green during normal use and red during intensive utilization. For those preferring an entirely stealth visual appeal, can be disabled. 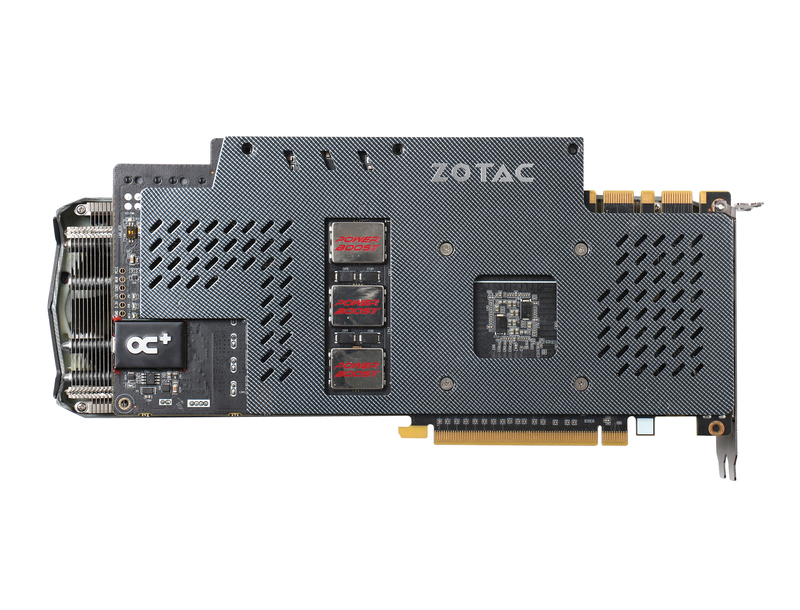 ZOTAC OC Plus is an exclusive power regulation controller module that communicates directly with the GPU via internal bus and the new ZOTAC FireStorm real-time overclocking software via internal USB interface to bring detailed real-time monitoring intelligence and overclocking capabilities. FireStorm features an all new easy to use interface featuring quick overclock presets, precise overclocking adjustments, and exclusively for the ZOTAC GeForce GTX 980 and GTX 970 AMP! Extreme Editions is a new Gamer Mode that enables precise voltage adjustments for extreme overclocking that push the limits of the card. 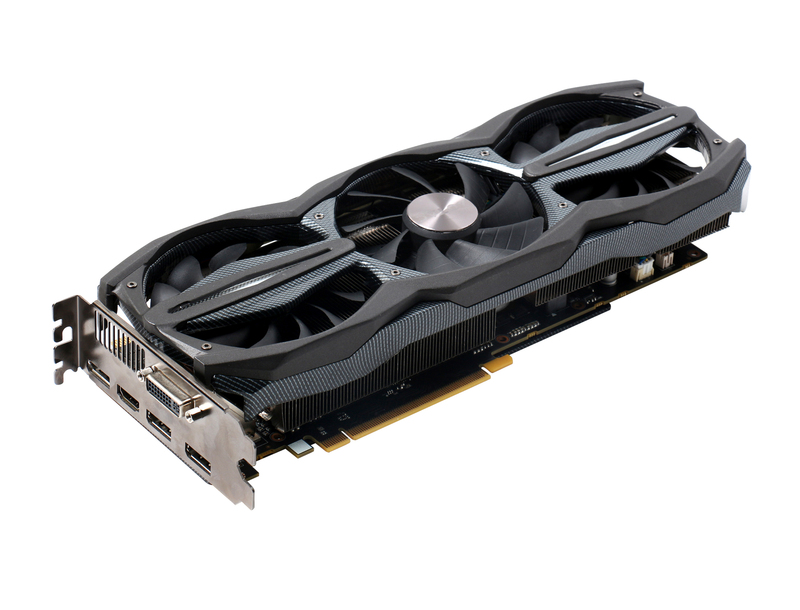 The ZOTAC GeForce GTX 980 and 970 series delivers excellent performance and game-changing features such as NVIDIA Super Resolution, GameWorks, GPU Boost 2.0, Adaptive Vertical Sync and Surround technologies for a smooth and stunning PC gaming experience. Support for NVIDIA GameStream, G-SYNC and SLI technologies ensure the ZOTAC GeForce GTX 980 and GTX 970 is ready for a true next-generation gaming experience with remote play capabilities when paired with an NVIDIA Shield tablet or gaming portable, unprecedented smoothness with a G-SYNC ready display and insane performance with SLI.